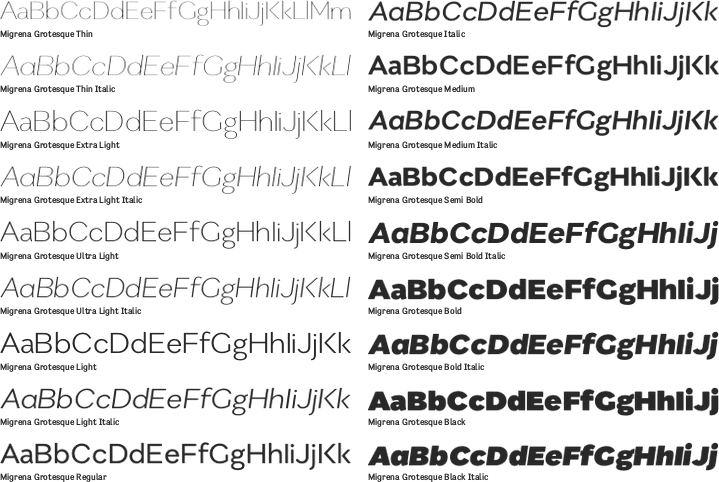 Migrena Grotesque is a sans serif font family created by Mateusz Machalski and published by Borutta. Featuring 18 fonts, OpenType features like Lining Figures and Standard Ligatures, Migrena Grotesque is a powerful digital sans serif font. Get Migrena Grotesque today, you’ll love it! Styles: Regular, Italic, Semibold, Bold etc. A font description published on Friday, August 19th, 2016 in Borutta, Fonts, Mateusz Machalski by Andrei that has 2,952 views.